BUFFALO – Martin Biron is coming to a television near you. 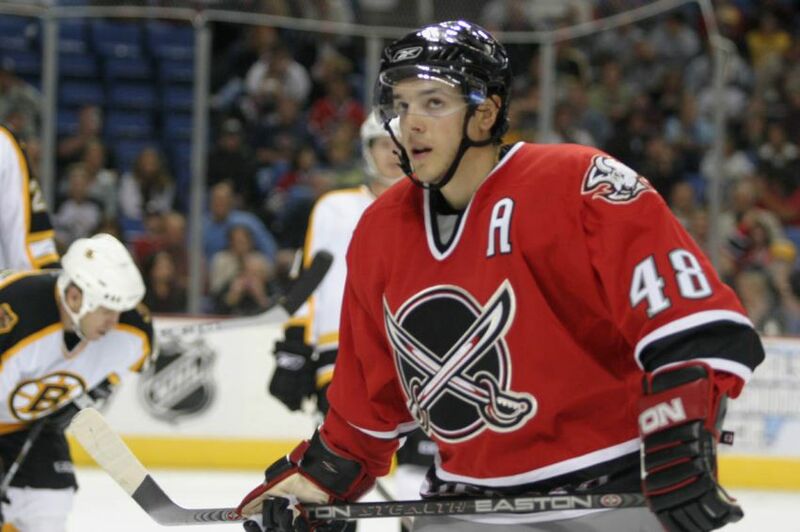 Former Sabres co-captain Daniel Briere, who stills holds a special place in the hearts of many Buffalo sports fans, held his retirement news conference today in Philadelphia, where he played six seasons for the Flyers. As expected, the former high-scoring center was classy and thoughtful. Courtesy of the Flyers, here are some highlights from the 37-year-old Briere, who played with the Sabres from late 2002-03 through 2006-07. TORONTO – Coach Ted Nolan noticed a little smirk on Andrej Meszaros’ face following the defenseman’s recent Buffalo Sabres debut. Meszaros had just skated a whopping 29 minutes, 39 seconds in Tuesday’s 2-0 win against Carolina. The minutes felt like a warm welcome. “It felt pretty good,” Meszaros said last week. BUFFALO – On March 15, more than 4,000 miles from Buffalo, Sabres goalie Connor Knapp stopped 24 shots in the Alaska Aces’ 4-2 win against the Colorado Eagles in Anchorage. Twenty-nine days later, Knapp, the sixth goalie on the organization’s depth chart, made his first NHL start in the Sabres’ 4-3 shootout loss to the New York Islanders. Knapp grew up in York, a small town about 30 miles from Rochester. BUFFALO – At first, Nathan Gerbe said, he didn’t understand why the Sabres waived and bought him out in early July. The diminutive winger had no inkling they had given up on him after five seasons.